 2nd Wakefield Crofton Scout Group: Active kids is back - Play your part! Active kids is back - Play your part! We are participating in Sainsbury's Active Kids 2011. This presents a fantastic opportunity to collect vouchers for a range of additional equipment that gives our children the opportunity to learn new skills. We have collected Active Vouchers before and we want to take full advantage of Active Kids 2011 and hope we can count on your support! You can collect Active Kids Vouchers from Sainsbury's between 9th February and 31st May 2011. You will recieve one voucher for every £10.00 spent at any main Sainsbury's store or £5.00 spent in Sainsbury's Locals. Vouchers can be collected at petrol stations too and when you shop for groceries on line. Nectar points can also be converted into vouchers - visit nectar.com for details. Last year, we acquired 2 tents, water carriers, pots and pans. This year we are aiming to collect vouchers to get some more outdoor/indoor sports equipment and camping equipment. So, please remember to collect your vouchers and donate them to us and help spread the word to friends, colleagues and neighbours that we are collecting! Every voucher is greatly appreciated, and with your help we are looking forward to a great year. Please give any collected vouchers to your Section Leaders.